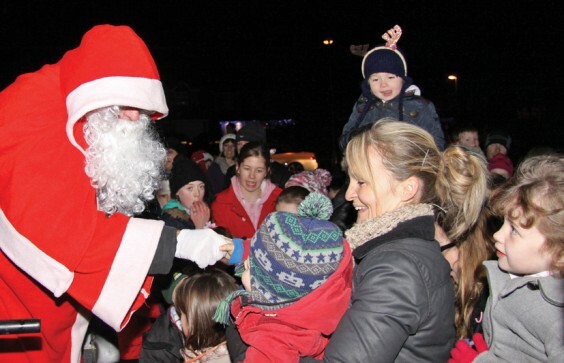 Hundreds of people gathered for the third Oakalls festive concert, held on the Green by Trianon Road. They enjoyed mulled Tardebigge cider and mince pies, with soft drinks, chocolates and glow sticks available for the children. Councillors Caroline Spencer, Rod Laight and Kit Taylor, who had stepped in to take on the running of this year’s event, thanked the residents who volunteered to help on the night by selling refreshments and ensuring the safety of the road closures. Members of the Primrose Hospice Choir led a rousing carol concert before the arrival of Santa, who was assisted by volunteers from the Bromsgrove Round Table. Despite the event receiving £250 from Coun Taylor’s discretionary divisional fund it was necessary to use additional money raised at the Jubilee party, to purchase Public Liability Insurance, an event licence, the refreshments and glow sticks. Donations were requested at the concert and £213.50 was raised. This will be put towards the next community event, which it is hoped will be held in the summer. On Friday January 10, a man was disturbed breaking into a house on Astley Road, at around 6pm. He had jumped over the back garden gate and opened a window at the house but fled without taking anything. A week earlier, on the night of Friday January 3, a resident from Royal Worcester Crescent reported having the catalytic converter cut from his car. A number of cars on the Parklands and Oakalls were also broken into during the early hours of Sunday December 22. A sat nav was taken from a vehicle in Cirencester Close and cars on Medici Road and Palmyra Road were also accessed although nothing was taken. Given the historically low crime rates for the estate, these recent incidents give cause for concern. Residents are urged to keep homes and cars secure and to contact the local police team to report any criminal activity. This will ensure accurate records and encourage more regular patrols of the estate. Call 101 to report local, non emergency crimes. A number of properties across the estate have become home to unwanted furry guests. The owners of a house on the Parklands were appalled to discover a rat had taken up residence in their loft just before Christmas. Upon inspection by a pest control company a squirrel’s nest was also found. The company said they had also visited a number of homes with infestations of mice. 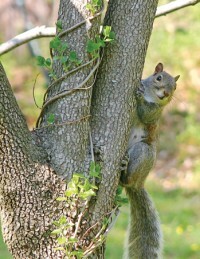 Rodents are looking for warm, dry shelter in winter. Once they have gained access to a house it can be difficult to get rid of them. We are also moving towards the spring breeding time and just two rats can make up to 6,000 babies during their two to three-year lifespan. “The very wet weather will have displaced the normally invisible rat as the water will have pushed him out of his nice dry home,” comments Coun Kit Taylor, who has experience of vermin and pest control. Preventative measures include not overfilling bins, clearing up spilled food from beneath bird feeders and cutting overhanging trees away from the house. Contact Coun Taylor on 07860 827318 if you don’t know who owns the tree or if you require any further advice. A red and silver Hubsan remote control helicopter flew out of range from the park area, off Green Park Road, on Boxing Day. It drifted over several houses before going out of sight. If found please contact The Village.